Administrative Law Judge (ALJ) Adrienne L. Krikorian, Office of Administrative Hearings (OAH), State of California, heard this matter on January 24, 25 and 26, 2011, at Riverside, California. Attorney Heather McGunigle, and, at some times during the hearing, Attorney Laura Massie, represented Student. Student’s mother (Mother) attended the entire hearing. Student attended during the last afternoon of the hearing. Norma Montano, administrative assistant of Disability Rights Legal Center, also attended most of the hearing. 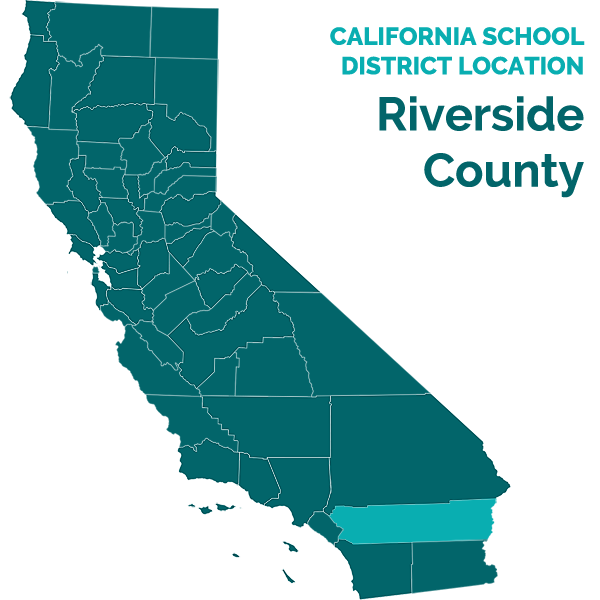 Attorney Jack Clarke represented Riverside Unified School (District). Attorney Megan Moore attended portions of the hearing. Timothy Walker, District SELPA Director and Erin Vanderwood (Vanderwood), District middle school special education coordinator, also attended all days of the hearing. Student filed her complaint for due process hearing on September 17, 2010. On November 5, 2010, OAH granted a continuance of the due process hearing dates for good cause. At the end of the hearing, the ALJ granted a continuance until February 11, 2011, to allow the parties time to file closing briefs. The parties timely submitted their closing briefs and the record was closed on February 11, 2011. 1. Did District deny Student a free appropriate public education (FAPE) at Student’s May 20, 2010 and June 2, 2010 Individualized Education Program (IEP) meetings by denying Student’s parents (Parents) the ability to meaningfully participate in the IEP decision-making process? 2. Did District deny Student a FAPE in Student’s June 2, 2010 IEP by failing to offer appropriate related services in speech and language (SL) and social skills? 1. Student is a fourteen-year-old female, who at all relevant times lived with Parents in the District. Student attended a District elementary school during the relevant time periods and is eligible for special education under the category of speech and language impairment. 2. Student attended Big Springs Educational Therapy Center (Big Springs), a private non-public school, full-time from 2003 through December 2008. She transitioned gradually from Big Springs to a District elementary school from December 2008 to March 2009, when she began attending a District elementary school full-time. 3. District’s speech therapist Dana Lees Stark (Stark) provided speech therapy services for Student beginning in March 2009. Stark, who testified at the hearing, holds a bachelor’s and master’s degree in communicative disorders. She has been employed by District as a licensed and certificated speech-language pathologist since 1989. In May 2009, Stark assessed Student in SL and wrote a report for consideration by Student’s IEP team. She based her assessment upon testing, her own observations of Student’s performance, and input from Student’s special day class (SDC) teacher, Monique Hudson (Hudson). Student’s assessment results showed impairment in the areas of receptive and expressive vocabulary, comprehension, and pragmatic language skills, which had some impact on her social skills in acquiring friends and initiating relationships. 4. Student’s IEP team met on May 28, 2009, and June 5, 2009. District and Student’s parents thereafter entered into a settlement agreement (Settlement Agreement). The Settlement Agreement, in combination with Student’s June 5, 2009 IEP, encompassed placement, goals, and SL services through July, 2010. The parties stipulated at the hearing that the Settlement Agreement included a full waiver of past claims to the date of execution, and a waiver of all claims regarding the appropriateness of Student’s placement and services through July 2010. 1 The June 5, 2009 IEP provided for a “minimum” of 60 30-minute small group SL sessions from June 3, 2009 through June 5, 2010. Student remained at District elementary school in a sixth-grade language based SDC for the 2009-2010 school year. 1Neither party requested that the ALJ admit the Settlement Agreement into evidence and the validity of its terms was not at issue because of the waivers. 5. In November 2009, Mother initiated a private medical examination of Student, without District’s knowledge. Stephen Ashwal, M.D. (Dr. Ashwal), board certified chief of pediatric neurology at Loma Linda University, California, evaluated Student for possible autism. Dr. Ashwal testified telephonically at the hearing. Dr. Ashwal concluded, after reviewing Student’s medical history and conducting a physical examination, that Student had a form of autistic spectrum disorder. He did not perform any testing, or confer with any of Student’s teachers or service providers at District. 6. Based upon his findings, Dr. Ashwal referred Student to the Inland Regional Center for confirmation of his diagnosis. He also recommended that Student undergo genetic testing to determine the cause of her autism. Dr. Ashwal’s written report included a prescription for SL services consisting of two, 30-minute individual, and two, 30-minute group sessions weekly. At hearing, he did not specifically recall prescribing SL services. Although he typically deferred to schools to determine what resources they had available and to make recommendations for services accordingly, Dr. Ashwal most likely included the prescription for SL services at Mother’s request and direction. Dr. Ashwal made no findings or recommendations during his medical exam relating to Student’s social interactions at school. 7. In December 2009, Mother initiated a private independent SL assessment at her expense, without District’s knowledge. Big Springs licensed and credentialed speech therapist Dorinda “Dindy” Wheelock (Wheelock) conducted Student’s assessment. Wheelock, who provided SL services to Student at Big Springs from 2005 until March 2009, testified at the hearing. Wheelock has a bachelor’s and master’s degree in communicative disorders and has worked as a lead teacher and SL therapist for Big Springs since 1980. 8. Wheelock assessed Student in two, 50-minute sessions, plus one 30-minute session, over three days in December 2009 and January 2010. Her assessment was for the limited purpose of identifying Student’s strengths and weaknesses in the area of language and to determining what support services would be appropriate in an “ideal” setting to prepare Student for academic success. She cautioned in her written report that the reader should compare the results of her assessment with Student’s daily work production in order to gain a true picture of her academic functioning. 9. Wheelock administered four tests, the results of which she compared to Student’s 2008 assessment results, which Wheelock also administered. Wheelock did not talk to anyone at District about Student, or review any District records regarding Student’s goals, services, or performance at school as part of her assessment. Wheelock did not observe Student in her District classroom, and she did not participate in Student’s May/June 2009 IEP. 10. Mother did not tell Wheelock that District had conducted any prior SL assessment of Student, and she did not give Wheelock any District assessments, including Stark’s May 2009 assessment. Wheelock did not know whether or not District had assessed Student using the same tests within the past year. Prior assessments were relevant to her own assessment results, because she avoided repeating the same tests on a particular student more than once a year to avoid the chance that a student might memorize the questions, which might result in artificially higher scores. Because Wheelock did not know at the time that District speech therapist Stark had already assessed Student, Wheelock repeated the Comprehensive Receptive and Expressive Vocabulary Test (CREV-2) within a nine-month period, contrary to her own practice of not administering the same test within a year’s time. 11. Wheelock found that Student made little progress in comparison to her 2008 assessment in expressive language, but she had improved in vocabulary. Student continued to exhibit severe deficits in expressive and receptive language skills, she did not recognize the context of the word “stranger” as it related to situations that might be potentially dangerous, but she knew how to communicate concerns or fears accurately. Wheelock found that Student’s communication skills were impaired such that she could not adequately communicate in a social setting. She also found, based upon her observations in working with Student, that Student was not an incidental learner but required specific and repeated directions to acquire language skills. 12. Wheelock recommended that Student should continue in an intensive language program, with SL therapy sessions grouped with like peers for a minimum of one hour daily. However, Wheelock’s recommendations were based solely on her own assessment results, and did not take into consideration whether Student’s academic program would be negatively impacted by pull-out SL therapy. Wheelock’s recommendation for SL therapy services five hours weekly was the “ideal” that, in her opinion, would bring Student to nearly one hundred percent achievement of her goals. Her recommendations included no consideration of whether Student’s academic program at District provided her with language intensive academic instruction that would supplement a lesser amount of SL pull-out, small-group therapy. Wheelock provided Parents a copy of her assessment report which Parents did not provide to District until Student’s May 20, 2010 IEP team meeting. 13. In March 2010, Psychologist Thomas Gross (Dr. Gross) independently and without District’s knowledge evaluated Student upon referral from the Inland Regional Center. Dr. Gross has a master’s degree in psychology and a doctorate in philosophy. He testified telephonically at the hearing. The purpose of Dr. Gross’ psychological evaluation was to rule out autism and mental retardation in connection with eligibility for services with the Inland Regional Center. Dr. Gross did not confer with District staff as part of his evaluation. He concluded that Student did not qualify for Inland Regional Center services on the basis of autistic disorder, mental retardation or similar disorder. He observed that Student appeared too socially oriented, and did not demonstrate a sufficient set of characteristics, to justify the diagnosis of autistic disorder. However, Student exhibited characteristics of mild Pervasive Developmental Disorder-Not Otherwise Specified (PDDNOS). Dr. Gross found that Student’s placement at her District elementary school was appropriate and should be continued. He also observed that Student appeared to have a substantial language disability, and he noted that Mother had placed Student on a waiting list for speech services at the University of Redlands. Dr. Gross made no specific recommendations relating to SL services other than to encourage Mother to continue checking back with the University of Redlands speech clinic to remind them of her continued interest in its services. 14. Mother did not give Dr. Gross’ report to District prior to Student’s May 20, 2010 and June 2, 2010 IEP team meetings, nor did Dr. Gross participate in any of Student’s IEP team meetings. 15. District convened an IEP team meeting on May 20, 2010. Parents, two educational advocates and a Farsi interpreter were present to assist Parents. Administrator designee and special day class teacher Alicia Grissom (Grissom), special education teacher Hudson, general education teacher Aimee Perlstein, speech therapist Stark, Earhart Middle School reading intervention teacher and student advisor Carol Smith, and program specialist Vanderwood attended on behalf of District. Mother gave the IEP team Wheelock’s SL report and Dr. Ashwal’s report, which Stark, Hudson, Grissom, and Vanderwood read before the meeting started. The team meeting lasted approximately three hours. 16. The IEP team reviewed Student’s present levels of performance (PLOPs). Student received instruction using the state-approved “Language!” reading intervention program, which included both teacher instruction and computer-based components. Hudson reported that, while Student preferred to read lower-level reading material, Student’s test results showed that her reading comprehension was at fourth-grade level. Student decoded lists of words at sixth grade level. Mother expressed concern that Student read at a lower comprehension level than Hudson reported and disagreed with Hudson’s evaluation of Student’s abilities and progress. 17. Stark had sufficient expertise and experience from working with Student to evaluate her progress and needs in SL. She regularly collaborated with Hudson regarding Student’s progress during the year. Stark delivered SL services twice weekly as provided for in Student’s amended June 5, 2009 IEP. Additionally, Stark often came into the classroom to deliver SL services during academic instruction, which resulted in Student occasionally receiving more SL services than those provided for in her IEP. Student made substantial progress toward her communication goals throughout the 2009-10 school year although she did not meet any of those goals. She continued to have low vocabulary. She could answer basic “who” questions, and she understood basic homonyms/homophones within her vocabulary range. Mother expressed her disagreement with Stark’s evaluation of Student’s levels of performance in the area of communication, denying that Student could perform at the levels reported by Stark. Parents requested that, for the 2010-11 school year, Student receive five one-hour sessions of SL therapy each week. 18. The IEP team also considered Wheelock’s December 2009 report, comparing test results between Stark’s May 2009 assessment and Wheelock’s December 2009 assessment. Student’s scores on tests administered by Wheelock were similar to Student’s scores from Stark’s May 2009 assessment. In particular, Student’s standard scores on the CREVT-2 in expressive vocabulary were 75 in May 2009 and 72 in December 2009. Student’s standard scores in receptive vocabulary were 72 in May 2009 and 58 in December 2009. Because Student’s December 2009 scores in receptive vocabulary were lower than her May 2009 scores, and similar in expressive vocabulary, her scores did not suggest that Student had memorized questions from the May 2009 test that caused her scores to be artificially higher on Wheelock’s tests. The IEP team also considered Dr. Ashwal’s report for approximately thirty minutes, including his prescription for SL services. 19. Stark agreed with Parents that Student required intensive daily remediation in language. However, she disagreed with Wheelock’s recommendation for five one-hour SL therapy sessions each week. Pursuant to her June 5, 2009 IEP as amended by the Settlement Agreement, Student’s academic program in the 2009-10 school year included two hours a day of intense language enrichment throughout the school day in addition to small group pull-out therapy sessions, which Stark testified she delivered twice weekly for thirty minutes. Student’s program provided Student with integrated instruction in social skills as part of her group language activities. Stark and Hudson were concerned that pulling Student out from class for one hour every day posed the risk of interfering with Student’s academic instruction. 20. Stark reported to the IEP team that Student continued to demonstrate social skills at an eight-to nine-year-old level, and that she participated more appropriately in small groups than in large groups. Student was extremely friendly, sociable and sweet, wanted to fit in with her classmates, interacted well with other students, and wanted a “best friend”. Stark observed Student make friends with one female classmate in October 2009, and they remained friends throughout the year. 21. Parents requested that District provide Student with separate social skills instruction twice a week at a level on par with services that would be provided to autistic children. Parents also requested that social skills be taught separate from Student’s language therapy. Parents did not provide the IEP team with any expert opinion or report that supported their request, nor did they present such evidence at hearing. Stark disagreed that Student needed pull-out social skills instruction because pulling Student out of her classroom and its normal routines would require Student to have to make up missed work, and would deprive her of valuable social interactions in the classroom. 22. Parents and their advocates actively participated during the May IEP team meeting, including expressing their disagreement with District’s assessment of Student’s level of progress, the number and type of goals, and the past levels of speech therapy provided by District under the 2009 Settlement Agreement. 23. The May 20, 2010 IEP team meeting adjourned without completing the IEP. At the end of the meeting, District provided Parents with a draft IEP, which District developed in part during the meeting, for their review before the next meeting. 24. Student’s IEP team reconvened on June 2, 2010, for approximately two to three hours. Parents were accompanied by two special education advocates and assisted by a Farsi interpreter. Stark, Hudson, Vanderwood, Grissom, a representative of Earhart Middle School, and other District staff members were present. 25. Mother reported that she had reviewed the draft IEP. She advised the team that it did not need to review Student’s proposed goals because she did not agree with them. She disagreed that Student was performing at sixth grade level. Vanderwood explained that the annual IEP was based upon Student’s classroom assessments and teacher observation and data. She also explained that the draft IEP was provided to Parents at the end of the May 20, 2010 meeting so that they could review it before the reconvened IEP meeting in order to be prepared to discuss any proposed revisions. 26. Hudson discussed Student’s PLOPs. Hudson observed that Student progressed from having difficulty working with large groups of students to being more observant and participating in class. For example, Student raised her hand looking for feedback and affirmation, and she communicated more frequently and openly with friends in and out of the classroom. 27. The IEP team continued discussing Student’s language deficits. Mother again shared her disagreement with Hudson’s and Stark’s assessment of Student’s PLOPs in the areas of communication, including pragmatics and semantics. Mother advised the team that, regardless of what District staff reported, she would not agree with the team’s evaluations of Student. Mother relied instead on Wheelock’s December 2009 and January 2010 assessment and recommendations and did she not understand why the IEP team would not accept Wheelock’s recommendations. The team discussed Mother’s concerns and spent an additional thirty to forty-five minutes discussing Wheelock’s report. Stark and Hudson discussed Student’s language and social skills as observed by them during their instruction time with Student. In addition, the IEP team informed Mother that, under the proposed middle school language inclusion SDC offered by District, Student would be receiving more total language instruction on a weekly basis in the 2010-11 school year than the five hours per week recommended by Wheelock. 28. The IEP team considered and discussed Mother’s concerns throughout the June 2, 2010 meeting. Parents’ advocates also participated throughout the meeting. 30. SL by explaining that they were trained to work with students with needs like those of Student. The IEP team revised Student’s goals by adding a math vocabulary goal. The IEP team initially recommended that Student receive two 30-minute sessions of speech therapy per week in small groups in conjunction with her academic language-intensive program. However, in consideration of Mother’s continued concerns regarding Student’s speech deficits, District agreed to increase the amount of SL services in its IEP offer to a minimum of 90 30-minute sessions, which was based upon a model of delivery of three times weekly in 30-minute increments. The IEP team also explained to Mother that social skills training, including role-playing with other Students, was included in District’s offer of SDC placement combined with small group SL therapy sessions three times a week. Mother consented at the June 2, 2010 IEP meeting to implement the IEP, but she recorded her disagreement with District’s assessments, the IEP goals, and District’s recommended level of speech services. 2. Student contends that District made recommendations and offered services that were predetermined, thereby denying Parents the opportunity to meaningfully participate in the development of Student’s IEP. Specifically, Student contends that District ignored Mother’s concerns at the May 20, 2010 and June 2, 2010 IEP meetings regarding Student’s levels of performance in SL; ignored Wheelock’s and Dr. Ashwal’s reports by not following or incorporating their recommendations into District’s offer of placement and services; and that District underestimated Student’s language and social skills deficits, without consideration for Parents’ concerns. 3. District contends that it did not procedurally violate the IDEA by predetermining Student’s IEP or by denying Parents the opportunity to meaningfully participate in the IEP process. District also contends: that Parents, and particularly Mother, participated actively at both the May 20, 2010 and June 2, 2010 IEP team meetings; that Parents were accompanied by two advocates who also actively participated at the two IEP team meetings; and that Parents were assisted by a Farsi interpreter to ensure that language did not interfere with their understanding of discussion during the meetings. District also contends that the IEP team spent at least thirty minutes discussing Dr. Ashwal’s report, and considerably longer during both meetings discussing Wheelock’s reports. District contends that its offer of a FAPE incorporated goals, placement and services that resulted from active collaboration by all IEP team members, including Parents and their advocates. 2All subsequent references to the Code of Federal Regulations are to the 2006 edition. 9. Here, Student did not meet her burden of establishing by the preponderance of evidence that District committed a procedural violation of IDEA by predetermining Student’s May 20, 2010 and June 2, 2010 IEP thereby denying Parents a meaningful opportunity to participate in the decision making process regarding the provision of FAPE to Student. 10. First, Student did not establish by the preponderance of evidence that District predetermined Student’s IEP. The evidence did not establish that District personnel met before the May 20, 2010 IEP meeting to discuss the terms of Student’s IEP, that District personnel entered into agreements regarding Student’s IEP outside of Student’s IEP meetings, or that District personnel only offered Student one placement without considering alternatives. On the other hand, both parties offered substantial evidence at the hearing that Parents and their advocates attended and actively participated and collaborated in the development of Student’s IEP at both meetings. District provided a draft IEP to Parents at the end of the May 20, 2010 IEP meeting in an effort to give the parents an opportunity to review it before the next meeting, not because the offer was predetermined. When the parties met again on June 2, 2010, the IEP team, including Parents and their advocates, discussed the draft IEP in detail, and Mother expressed her disagreement with portions of the draft. The two IEP meetings lasted cumulatively at least five hours. 11. The evidence showed that Mother actively participated in discussions at both meetings regarding Student’s PLOPs, her goals, her areas of need, her level of services during the 2009-10 school year, and the goals and level of recommended services for the 2010-11 school year. Mother and her advocates repeatedly voiced disagreement at both meetings with District staff’s assessments of Student’s progress and with her recommended goals. 12. Further, the IEP team did not ignore Wheelock’s or Dr. Ashwal’s reports, as Mother contends. The team spent at least thirty minutes discussing Dr. Ashwal’s report at the May 20, 2010 meeting. District staff members spent one to two hours over the course of both the May 20, 2010 and June 2, 2010 meetings reviewing, discussing and considering Wheelock’s report and recommendations. The IEP team evaluated Wheelock’s and Dr. Ashwal’s recommendations for speech services in comparison to Stark’s and Hudson’s recommendations. Mother participated in all discussions regarding SL services, including informing District that she did not agree with District’s recommendations for SL services but instead agreed with Wheelock’s recommendations for services. 13. The IEP team addressed Mother’s concern that the staff at Earhart Middle School was not trained to address Student’s needs in SL by explaining that they were trained to work with students with needs like those of Student. The IEP team discussed District’s placement offer, including how the proposed language intensive class would address Student’s needs in combination with pull-out SL services. 14. Finally, although Stark was confident that her recommendation for SL services in the context of District’s recommended placement was adequate to provide a floor of opportunity for Student, the June 2, 2010 IEP team nevertheless added an additional 30minute session per week of SL therapy, in consideration for Mother’s concerns. The IEP team also added a vocabulary math goal to Student’s IEP. District did not predetermine Student’s IEP. The IEP team considered Parents’ concerns and input at all times in the IEP process. 15. The IDEA did not require District to agree with or adopt Parents’ requests for services and particular methodologies. Nor were Parents denied meaningful participation simply because the District considered and rejected the particular recommendations in Student’s independent assessment reports privately commissioned by Parents. The evidence established that District did not procedurally violate the IDEA, and that Parents meaningfully participated in the IEP process. 16. Student did not meet her burden of persuasion that District denied Student a FAPE by denying parental participation at the May 20, 2010, and June 2, 2010 IEP team meetings. Factual Findings 1, 15-30; Legal Conclusions 1, 4-16. 17. Student contends that District’s final offer in her June 2, 2010 IEP of three 30minute SL therapy sessions weekly in conjunction with its placement offer of a language intensive SDC was insufficient to meet Student’s unique needs in SL and social skills, and therefore denied her FAPE. Specifically, Student contends that Student did not meet any of her speech goals at the end of the 2009-10 school year; that Wheelock’s recommendation of five one-hour SL sessions weekly was more appropriate to meet Student’s needs; and that Student required intensive pull-out SL therapy before she would benefit from academic instruction. As to social skills, Student contends that the District’s offer of addressing social skills deficits through group speech therapy and classroom participation was insufficient, and that Student required a separate social skills program. 18. District contends that District’s offer of SL therapy three times weekly for 30 minutes in small groups combined with her placement in a language intensive SDC at a District middle school was sufficient to meet Student’s unique needs in SL and social skills, and that District’s offer in Student’s June 2, 2010 IEP was a FAPE. 23. Here, regarding SL services, although independent assessor Wheelock demonstrated sufficient qualifications to appropriately assess Student’s SL needs in December 2009, her conclusions and recommendations were not persuasive. Wheelock’s assessment was limited in its scope and was conducted for a limited purpose. Wheelock did not observe Student in her classroom at any time after March 2009 and she did not provide Student with any SL therapy during the nine months prior to her assessment. She did not consult with Stark or Hudson or any other District staff about Student’s academic program at District or her classroom performance at the time of Wheelock’s assessment. She did not review Stark’s May 2009 SL assessment. She did not review Student’s records from District, or have information about Student’s IEP goals or services. Her recommendations did not take into consideration whether Student’s academic program at District provided her with language intensive academic instruction that might reduce the need for pull-out SL services. Finally, Wheelock admitted at the hearing that her recommendation for SL therapy services five hours weekly was based upon an “ideal” situation designed to enable Student to meet her speech goals, which is not the standard for determining whether a particular student has been offered a FAPE under the IDEA. 24. Dr. Ashwal’s recommendation for SL services was equally unpersuasive. Dr. Ashwal, who was a pediatric neurologist and not a speech therapist, was not qualified to make specific recommendations for SL services, and he admitted that he routinely deferred to a student’s school to do so. His recommendation for SL services was not based upon any credible data or any appropriate assessments that supported his recommendations. 25. On the other hand, Stark credibly testified that Student had made substantial progress toward her language goals in the 2009-10 school year, when she received SL therapy in small groups at least two times a week and where her academic instruction was language based. Stark often came into the classroom to deliver SL services during academic instruction, which resulted in Student occasionally receiving SL services exceeding the two 30-minute sessions of small group therapy Stark delivered weekly in accordance with Student’s 2009-10 IEP. Student made substantial progress toward her language goals throughout the 2009-10 school year. 27. Student’s June 2, 2010 IEP included an intensive, language-based academic instruction in combination with a minimum of 90 30-minute SL sessions delivered based upon a model of three times per week in small groups. The District’s offer exceeded the SL pull-out services provided for in the 2009-10 IEP by a minimum of 30 additional small group sessions, or one additional session per week. 28. District’s offer of SL services in her June 2, 2010 IEP in conjunction with its placement offer was reasonably calculated to provide Student with some educational benefit. Student did not meet her burden of proving by the preponderance of evidence that District denied Student FAPE by failing to offer sufficient services in SL. Factual Findings 1-3, 712, 14, 17-19, 26, 27; Legal Conclusions 1, 4-8, 19-27, 34. 29. Regarding social skills, Student contends that District should have offered her two hours a week of social skills training independent of SL services. However Student did not establish by the preponderance of evidence that she required separate social skills services or that what District offered in her June 2, 2010 IEP was not appropriate. Dr. Ashwal’s report made only a preliminary diagnosis of autism spectrum disorder. He made no recommendations relating to Student’s social skills levels. 30. Dr. Gross’ testimony was also not persuasive. The IEP team was unaware that Dr. Gross had assessed Student at the time it met. Dr. Gross, who evaluated Student for the purpose of eligibility for Inland Regional Center services, found that Student did not have autism or mental retardation, in contrast to Dr. Ashwal. Instead, he found that Student had a mild form of PDD-NOS. Moreover, when he testified, Dr. Gross did not recommend specific social skills training, such that even if his opinion had been considered by the IEP team, it would not have lead the IEP team to the inclusion of social skills training as a related service. Thus, applying the “snapshot” rule, the IEP team’s offer of placement and services was reasonably calculated at the time it was made to provide Student with some educational benefit. 31. The May 20, 2010 and June 2, 2010 IEP teams’ evaluations of Student’s PLOPs in behavior and social skills levels were also persuasive. Stark and Hudson both reported at the May and June 2010 IEP meetings that Student continued to demonstrate social skills at an eight-to nine-year-old level, and that she participated more appropriately in small groups than in large groups. Student progressed from having difficulty working with large groups of students to being more observant and participating in class. She raised her hand in class, looked for feedback and affirmation, and communicated more frequently and openly with friends in and out of the classroom. Student was extremely friendly, sociable and sweet, wanted to fit in with her classmates, interacted well with other Students, and wanted a “best friend.” Student made friends with at least one female classmate in October 2009, and they remained friends throughout the year. 32. Pulling Student out of her classroom and its normal flow for two hours a week in a separate social skills class, as Parents requested, also would have deprived her of important social interactions in the classroom. On the other hand, District’s proposed language intensive academic program integrated small-group SL therapy and social skills training and role playing with other Students, at least three times a week. 33. As discussed above, the IDEA requires that District’s offer of educational services must have been designed to meet Student’s unique needs, and be reasonably calculated to provide her with some educational benefit. District was not required to adopt Parents’ preferred frequency and duration of related services. 34. Based upon the preponderance of the evidence, District’s offer in Student’s June 2, 2010 IEP to continue placement for the 2010-11 school year in a language-based SDC with small group SL services and integrated social skills training was reasonably calculated to address Student’s social skills development needs and to provide her with some educational benefit. 35. Student did not meet her burden of proving that District denied Student a FAPE by failing to offer appropriate social skills services as requested by Parents. Factual Findings 1, 19-21, 23-26, 29, 30; Legal Conclusions 1, 4-8, 19-22, 26, 28-35. 36. In summary, Student failed to establish by the preponderance of evidence that District’s final offer in her June 2, 2010 IEP of three 30-minute SL therapy sessions weekly in conjunction with District’s placement offer in a language-intensive SDC denied her a FAPE by failing to meet her unique needs in SL and social skills. All of Student’s claims for relief are denied.